As I mentioned in a previous Vagabond Prince post (“Trapped on Wax“) the origin story was meant for Boy Explorers #2 issue but not published. Joe Simon drew two other Vagabond Prince stories. It may seem odd that Joe would produce stories that were not meant to be published for another four months (Boy Explorers was a bimonthly) but Joe was not the only artist doing that. 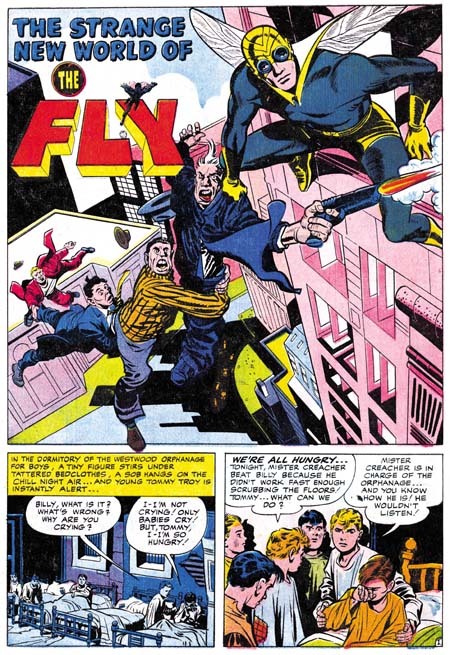 Jack Kirby drew three Stuntman stories that were never published. Each started with a double page splash. Such wide splashes were only used as the centerfold of the comic so this meant that Jack had drawn the stories for six months after what turned out to be the last Stuntman. Two of the splashes were completely inked while the spotting had not been finished on the third. The outlines of all three stories were inked but without any spotting. Because the inking was never finished none of these stories were ever published. Titan’s upcoming Simon and Kirby Superheroes volume will publish one of them for the first time. 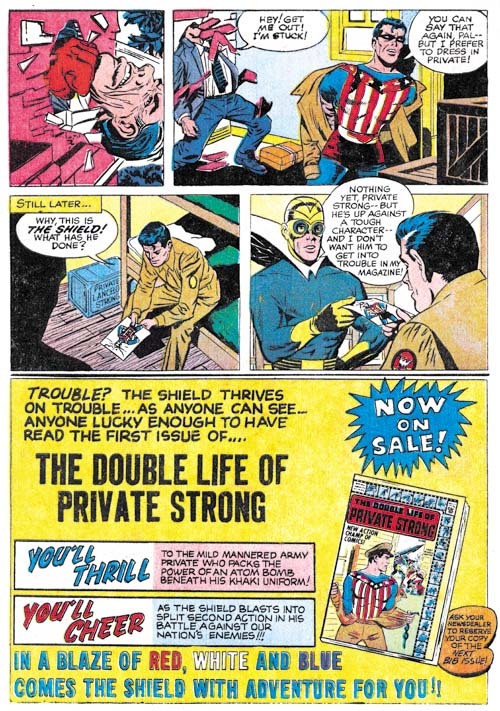 Bill Draut was another artist that produced stories ahead of publication. 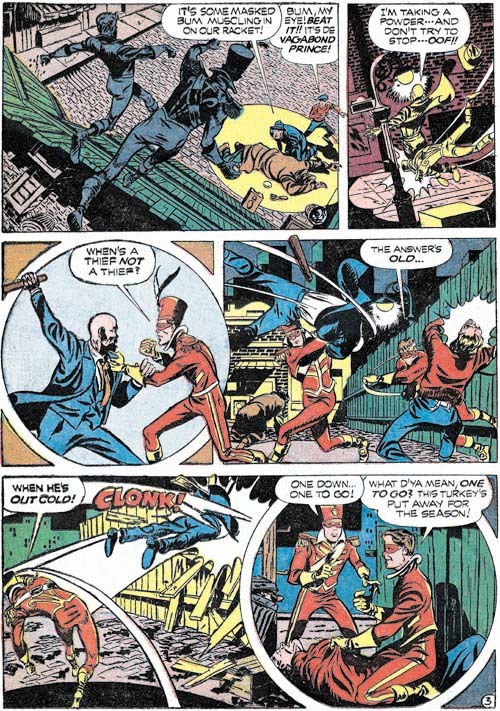 Draut drew four Red Demon stories none of which were published in either Stuntman or Boy Explorers. 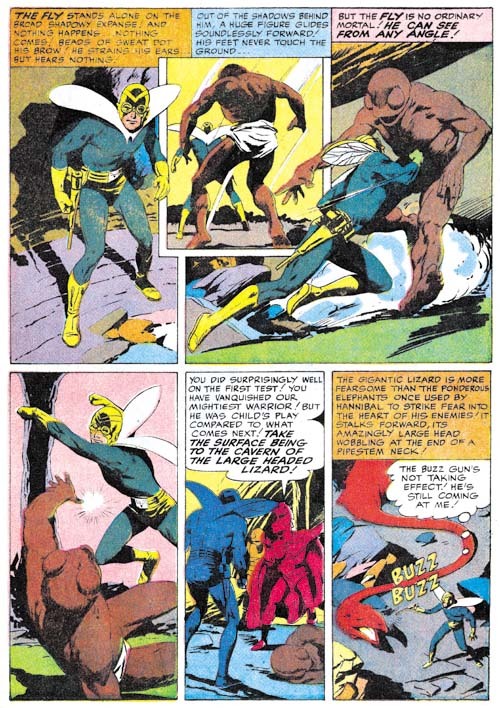 That has led me to believe that there might have been a third intended Simon and Kirby title that got cancelled before it was even launched (Bill Draut’s Demon). 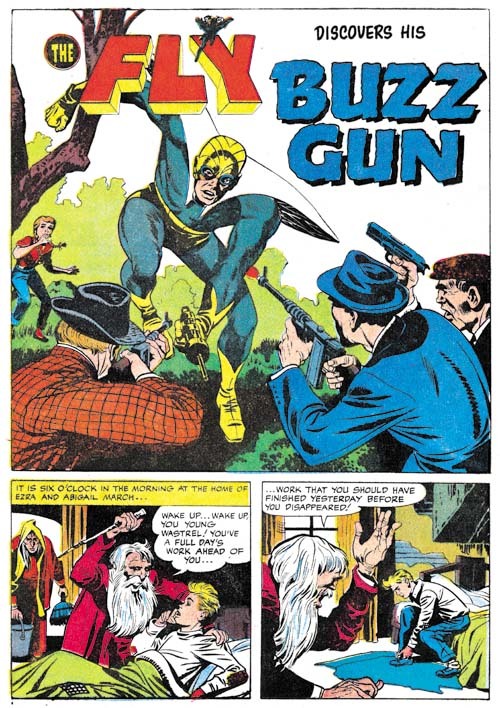 The Red Demon was published later in Black Cat Comics but the fact that the origin story was the third published shows that the stories were inventory and not originally created for that title. Harvey Comic’s lack of concern with the original order of the inventoried stories shows up with Vagabond Prince as well. The second story, “The Madness of Doctor Altu” ended up being the last one published. 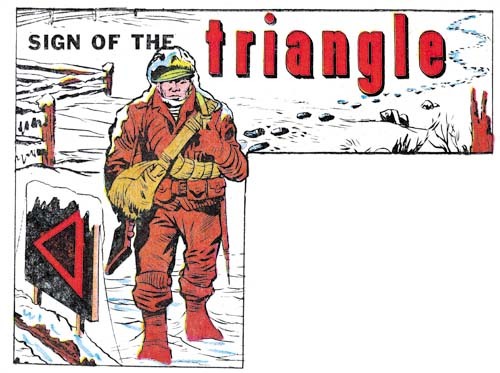 It is clear that the Doctor Altu story was meant for Boy Explorers #3 because it was announced as such at the end of the “Trapped on Wax” story (which should have appeared in Boy Explorers #2). Joe purposely adopted Jack Kirby’s art style in the Vagabond Prince. None of them were signed, but if they had been I am sure it would have been with a Simon and Kirby signature. After all that is what Joe did for some Boy Commando stories that he did while in the Coast Guard and it is also what Jack did when he returned from military service before Joe did. 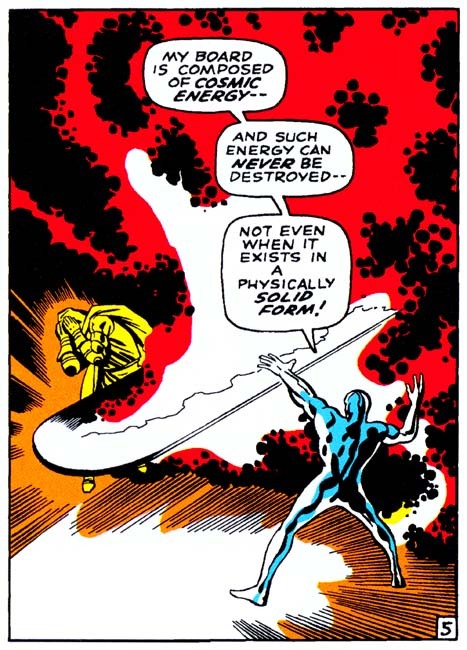 Of course Joe could not perfectly adopt Jack’s style; no one could handle perspective or a fight sequences quite like Kirby. Still “The Madness of Doctor Altu” has some superb art. Note the dramatic perspective Joe uses in the first panel from page 3. And while Simon may not been quite as good as Kirby, Joe still can provides some great fight scenes. 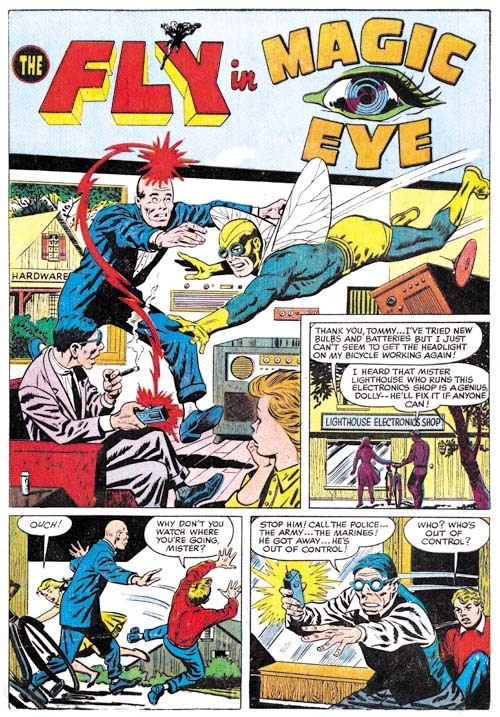 One fight scene was even swiped by Jack Kirby many years later (Kirby Swipes from Simon) a rare instance of Jack swiping from another comic book artist. It is not just the art that makes Vagabond Prince such a great feature, it is also the story. Joe’s plot for the Doctor Altu story takes an unusual twist concerning the man saved by the heroes at the start of the story. I will forego being more explicit for fear of spoiling it for any my readers that have not yet read the story, but fear not it will also be included in Titan’s upcoming Simon and Kirby Superheroes. Like “Trapped on Wax”, this plot concerns the Vagabond Prince protection of the poor. It is an example of the cultural wars between the elite and the downtrodden, although appropriately exaggerated for use in a comic. 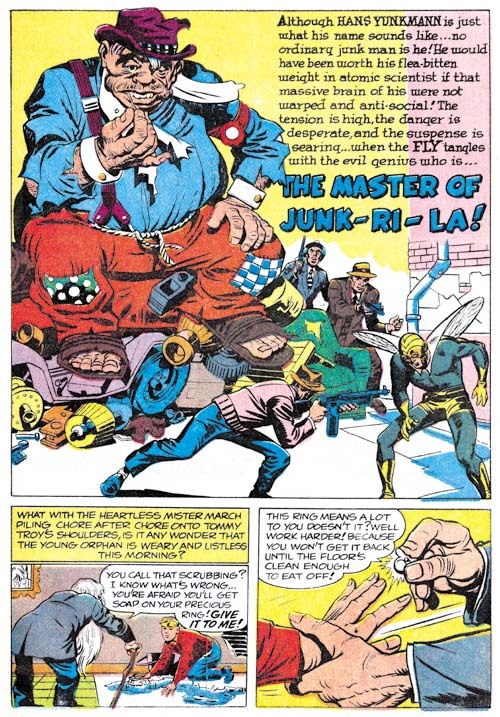 Doctor Altu is an example of a long haired villain by Simon and Kirby. 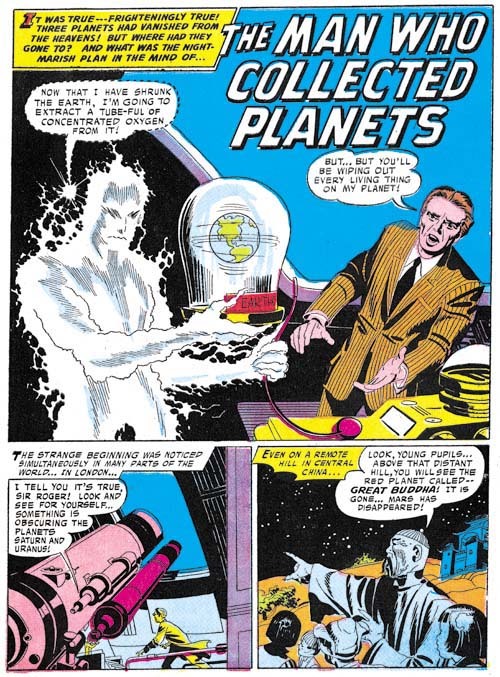 I previously posted about another one, Professor Enric Zagnar from a Vision story (Featured Story, The Vision from Marvel Mystery #25). Marty Erhart commented about two others: the Fiddler from “Horror Plays the Scales” (The Wide Angle Scream, Captain America #7) and Mister Goodly the warden from Star Spangled #11 (The Beginnings of the Newsboy Legion). I wonder if the post-Beatle generations can truly appreciate the antagonism that most American’s at that time felt about men with such hair. Calling someone a “long haired intellectual” was by no means a compliment. Next week the final Vagabond Prince story, “Death-Trap De Luxe”. My schedule is pretty crowded and so I do not have much spare time for wondering around the Internet. Fortunately some of my readers occasionally point out things that might be of interest to me. Recently my attention was directed to a post on Todd’s Blog, Logo Study: DC Romance Comics Part 1 (thanks RAB). It’s a great article on the various logos used for Young Romance. I have no clue who designed it, doesn’t look like Joe Simon’s work, and I think he and Kirby had been away from the title for a while by then. Mark Evanier suggests it might have been by Ben Oda, and from the style that seems like a good guess. However Todd is wrong to say Joe was no longer working on the title. 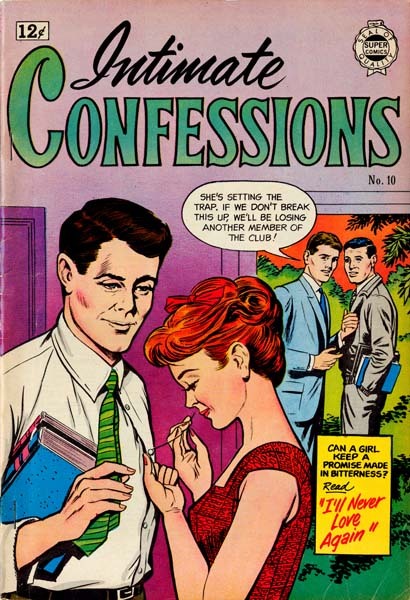 Both Joe Simon and Jack Kirby were listed as the editors of Young Romance in the postal statements up to 1959. 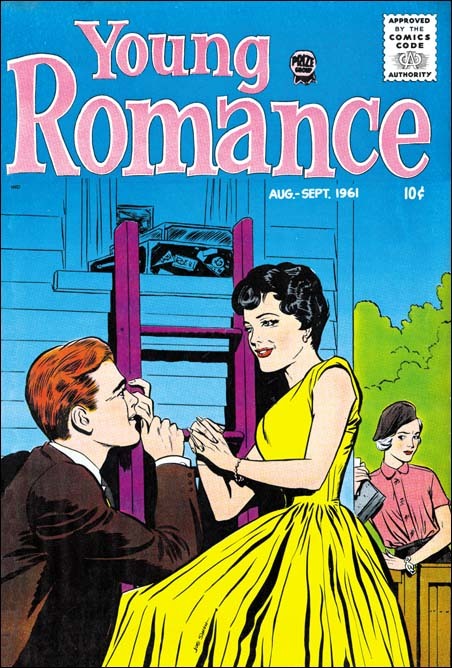 Jack’s last work for Young Romance was YR #103 (December 1959). The new logo for Young Romance appeared on issue #104 (February 1960) and postal statements from 1960 until 1963 listed only Joe Simon as the editor. Further Joe would do many of the covers for Young Romance. The cover for last issue that Todd uses in his post looks to me to have been drawn by Simon. I provide a scan of a Young Romance issue that is even signed by Joe. As for Todd’s statement that the logo does not look like Joe’s, I thought I would provide some examples of other logos that might have been designed by Joe. From 1957 to 1959 Prize was publishing All For Love, Personal Love and Young Romance. As I said above, Young Romance was edited by Joe but the other two titles were not. But in 1960 one of the partners for Prize Comics died and Joe was asked to take over all the titles. Joe cancelled All For Love and Personal Love and brought back Young Love and started a new title, Going Steady. Again the art for some of the covers for Going Steady were done by Simon. 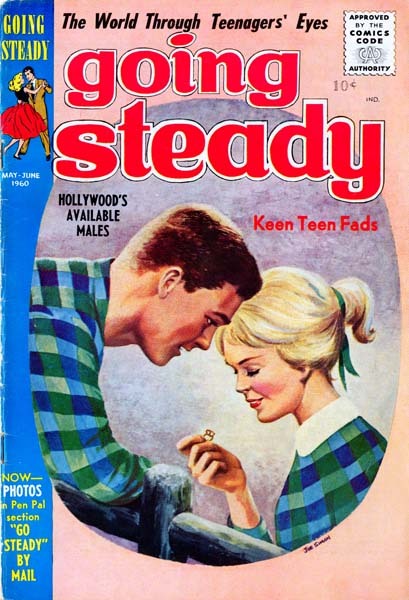 There are covers, as for example Going Steady #3, that was done by Joe using a combination of paint and air brush. Now I cannot say for sure that Joe did the logo, but as the editor he was at least involved in its selection. Simon was not only asked to take over the comic lines but to come up with a humor magazine as well. 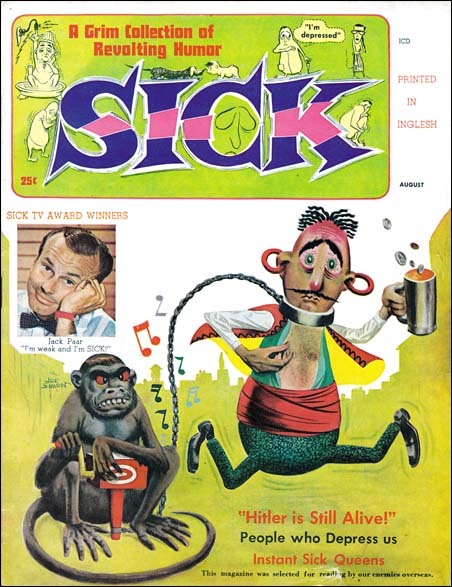 And yes Sick is a clone of the tremendously popular Mad Magazine. However there were many attempts to copy Mad’s success and only Cracked had a more successful run than Sick. There was no art department at Prize so I am sure this is Joe’s design. 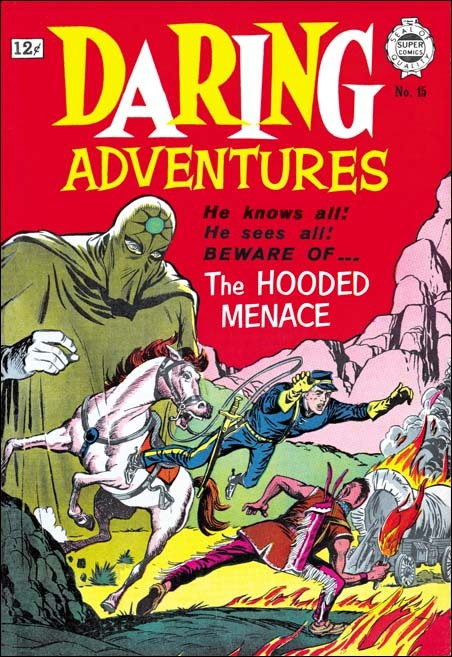 In 1963 and 1964 Super Comics published some reprint material under the title Daring Adventures. However the covers for the titles all used new art. I have seen the covers for eight of the issues and there were three different logos; #9; #10, #11, #17 and #18; #12, #15 and #16. Further there is a correspondence between the logo and the cover artist. 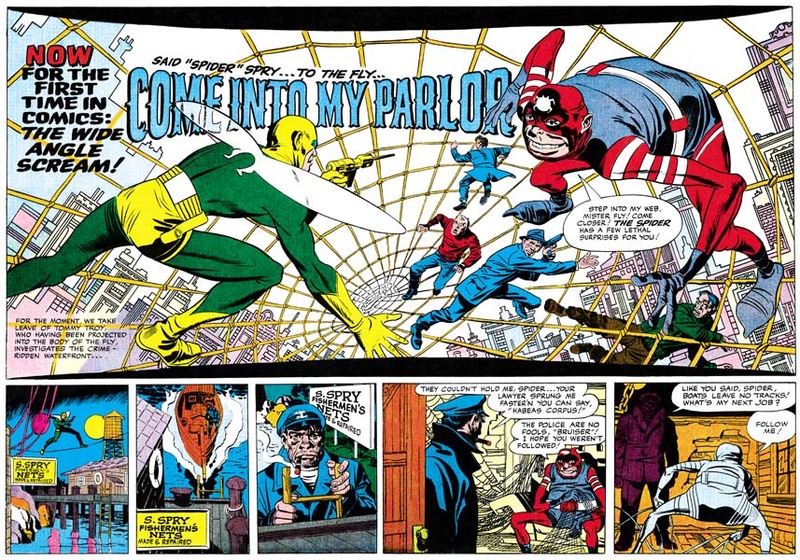 I do not know who did issue #9, but #10, #11, #17 and #18 were done by Ross Andru with #12, #15 and #16 drawn by Joe Simon. In the Comic Book Makers Joe description of the owner Israel Waldman makes it sound that Super Comics was a one man operation. Therefore it is likely that the cover artist provided the logo as well and so I credit the logo with Simon cover art to Joe himself. Simon provided covers for some of the other Super Comic titles as well. I have only seen a few covers for Intimate Confessions (perhaps there were only a few) so I cannot make as strong a case for who did the logo but I am still included to believe the cover artist did. 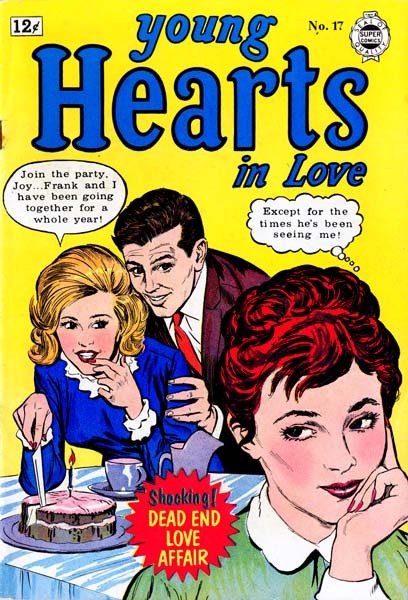 Another Super Comics romance title that Simon provided cover art for was Young Hearts in Love. In this case I think we can be pretty confident that Joe created the logo because he based the design on that for the original Young Romance. An obvious choice since the Super Comic’s title was a based on the old Prize one. 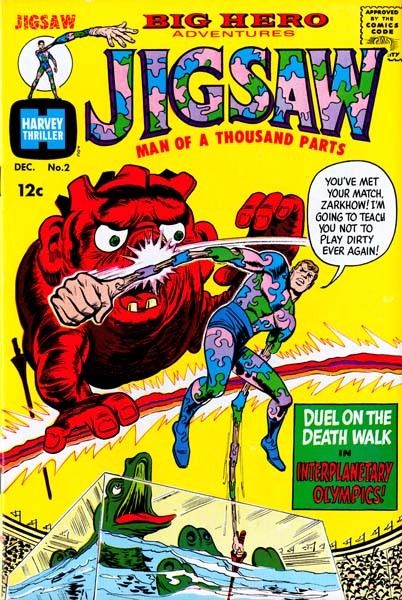 Jigsaw #2 (December 1966) art by Joe Simon? A few years later Harvey Comics asked Joe to do some superhero titles. Once again it is hard to be sure that Joe designed the logos but as editor he certainly was at least involved in the selection. There are other logo designs that might be attributed to Joe Simon and perhaps I will go over them someday in a future post. In my opinion the second Young Romance logo does look like Joe’s design but I will leave it to the reader to decide whether to agree with me or Todd. But by all means check out his post. Just about everything Simon and Kirby produced was great stuff but I am sure most fans have their favorites. 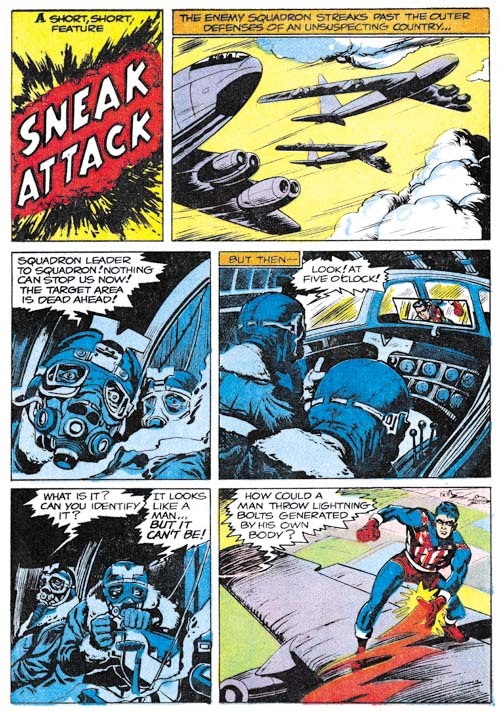 Previously the only superhero work I included among my favorite Simon and Kirby productions was Fighting American. Well that has changed as I now add Vagabond Prince. 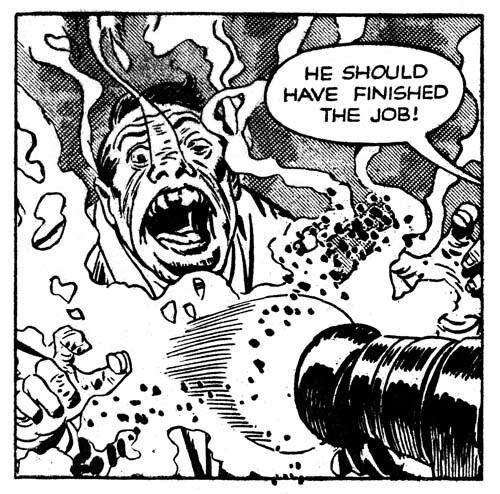 There are only three Vagabond Prince stories and they were all drawn by Joe Simon. Even Joe admits he is not as good an artist as Jack Kirby, but I like Joe’s art and there are other aspects of the characters he created and the stories he wrote that makes Vagabond Prince so appealing to me. 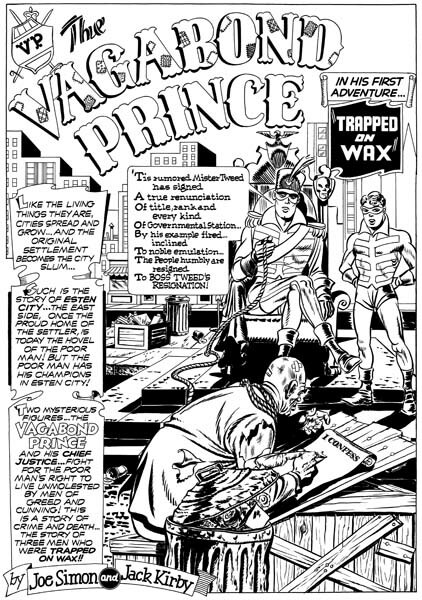 The origin story for the Vagabond Prince, “Trapped on Wax”, has never been published in its entirety. The marking on the artwork shows that the story was initially meant for Boy Explorers #2. 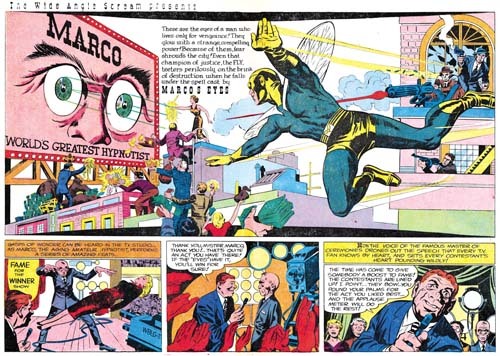 However that title was abruptly cancelled (as was its companion title Stuntman) because of the flood of new comic titles that occurred after paper rationing was lifted so that many of the titles never even made it into the actual newsstands racks. Harvey issued a black ink only version of Boy Explorers #2 for subscribers but that was not only much reduced in size but also in the amount of content. 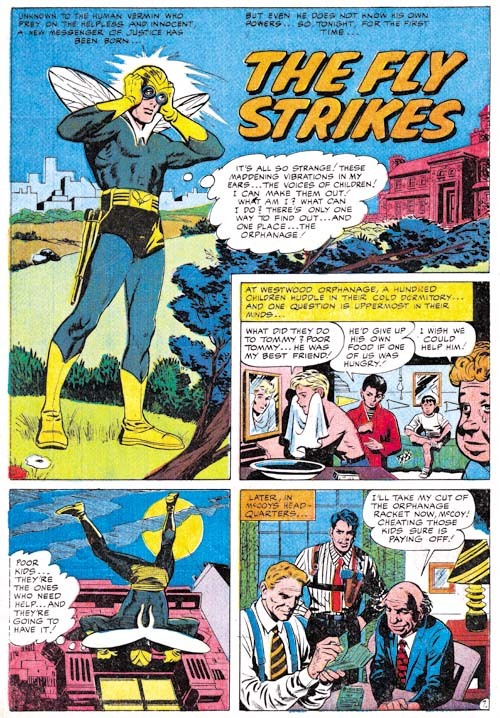 Not only did Vagabond Prince fail to be included in the small Boy Explorers #2 but it was never later printed in Green Hornet, Joe Palooka and Black Cat comics like most of the art left over from the cancelled Stuntman and Boy Explorers. The reason “Trapped on Wax” was not printed later was because the art was not finished. Initially the entire story was completely inked but apparently some sections were unsatisfactory. The art was done on two ply illustration board. The term “two ply” refers to the fact that there are actually two layers of surfaces suitable for use. A razor was used to cut around the parts that needed changing and the first ply was carefully pealed off. The newly exposed second ply was penciled and the outlines inked, however the full spotting was never done. You can see the results of one such unfinished correction in a panel from page 7 shown above. Observe the simple outline of the man standing in the background. 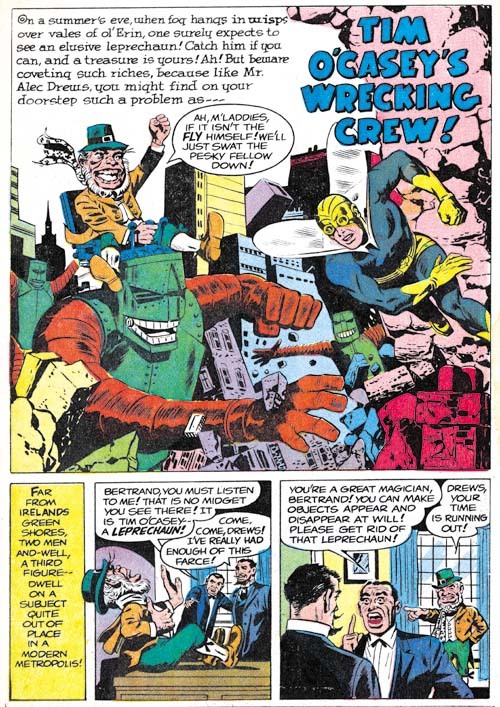 Although the man of the right, the hero, was fully spotted some additional changes were being done, in this case by Jack Kirby. 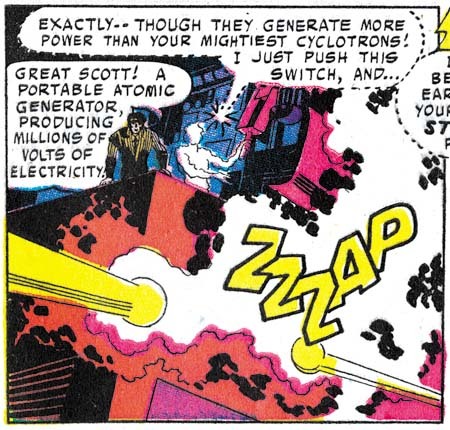 I wrote about this and some other changes in one of my earliest blog posts (Simon and Kirby as Editors). 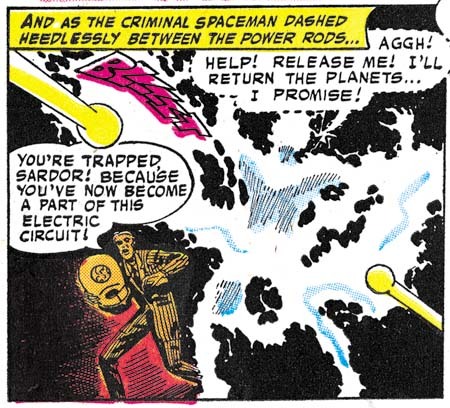 Because the art for “Trapped on Wax” was not finished it was still in Simon and Kirby’s possession. Joe has said to me that material published in Green Hornet, Joe Palooka and Black Cat was used without their permission. Even though only comparitively little effort would have been needed to complete “Trapped on Wax”, Simon and Kirby never would finish it. Having escaped publication by Harvey Comics, “Trapped on Wax” was included in “Simon & Kirby Classics published by Pure Imagination in 1987. Only at that point page 9 was missing. Joe wrote a new script for the missing page and Jack penciled new art; this would be the last Simon and Kirby collaboration. This was an interesting approach to provide a complete story but since the new page was done 40 years after the original work it was not a completely satisfactory arrangement. Fortunately in the meantime someone had sent Joe a printout of the original art for the missing page 9 and Titan will be publishing the complete story for the first time in the upcoming Simon and Kirby Superheroes volume. Ned Oaks: Gentlemen, I welcome you to my domicile as a flower would great a gentle ray of sun! Henchmen thinking: Zowie! He’s buggy all right! Even his sidekick considers Ned Oaks a little nutty. Considering the humor I cannot help but wonder if the Vagabond Prince’s costume was purposely a little goofy. One of the unique characteristics of the hero for Vagabond Prince is that he actually is rather poor. In “Trapped on Wax” we find him living in a run down cottage. In later stories we will see him residing in a tenement. 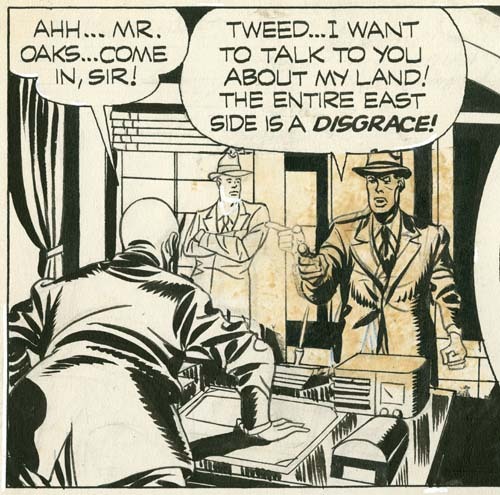 Not only is Ned Oaks poor, but the people he defends in the stories are generally poor as well.